At Cornwall Dental Arts, we treat patients from childhood into adulthood. As pediatric dentists, we recommend that children have their first dental appointment around the age of two. This post, however, is for women who are pregnant or planning to become pregnant. Carrying a precious child can not only consume your time, but your attention as well. Don’t forget your needs and your stamina during these important months. It’s vital to understand that the changes your body experiences during pregnancy also influence your dental health. Changes in your hormonal balance are needed for growing a new life, but they can also compromise your teeth. Your gums are especially susceptible. In fact, studies reveal a slightly increased risk of low birth weight and pre-term infants in mothers with gum disease. In order to keep your smile healthy, visit your dentist before you are pregnant. If you are already pregnant but haven’t visited a dentist in a while, we encourage you to have an exam. Your dentist can check your teeth and gums, and advise you if any changes to your dental hygiene routine are needed. If there are problems such as gingivitis, it’s a good idea to have your dentist monitor them throughout your pregnancy. Put off any treatment that can wait until after your little one arrives,. If you have a dental emergency that needs to be addressed before delivery, the best time is during the second trimester. Modern x-ray methods are extremely safe but should be avoided if possible throughout your pregnancy. When you arrive for your exam, be sure to tell your dentist that you are pregnant. If your doctor has given you special instructions concerning your condition, let your dentist know. Additionally, give your dentist a list of all the medications and vitamins you are taking. Throughout your pregnancy, be sure to see your dentist immediately if you experience any changes to your teeth or gums. 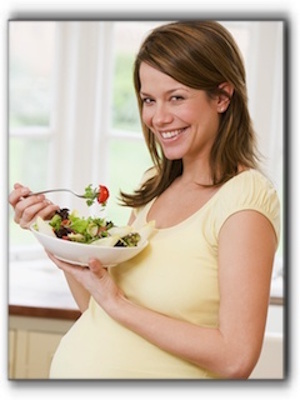 Remember, your diet significantly affects your baby’s health and development, as well as the condition of your teeth. A diet low in essential nutrients can impede your baby’s tooth and bone development. Meals and snacks high in sugar, expecially when consumed frequently throughout the day, do not support your baby or your teeth. Make sure you get enough calcium, iron, vitamins A, D and C, protein, and phosphorus. If you are looking for an esteemed and responsive family dentist in the Cornwall area, call Cornwall Dental Arts – Family and Cosmetic Dentistry. We provide trusted dental care, and take special care of our patients who are expecting.